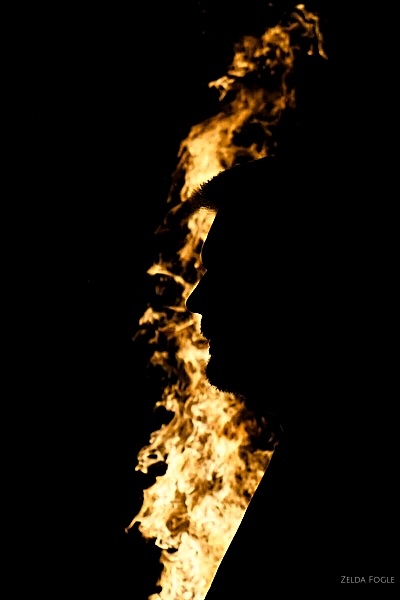 I really loved how this image turned out with the fire in the background. Sometimes it’s fun to play around with angles and the background of the scenery. Even though this image isn’t very Easter themed, I hope you have a great one on this lovely day! Enjoy. I found this field of wildflowers hidden away. 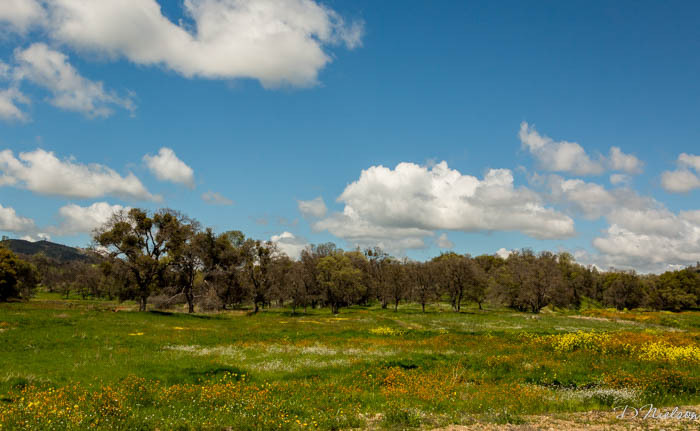 It was a perfect setting surrounded by oak trees, and if you look beyond, you will see the field is full of color. I love exploring all these back roads. Enjoy your day and have a very Happy Easter. 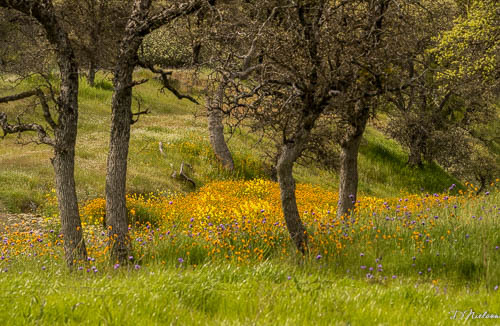 I recently joined the Sierra Foothill Conservancy, a group aims to conserve and educate about the Sierra Foothill region of Central California. They sponsor many hikes and programs throughout the area. Last Saturday I went on my first hike. While it wasn’t a photographers hike, we did stop several times and the hike was leisurely enough that you could take time to photograph within reason. Our guide was Lori, a botanist, and very knowledgeable and informative about the plants and area. There are apparently many types of Lupine, I never thought much about it. 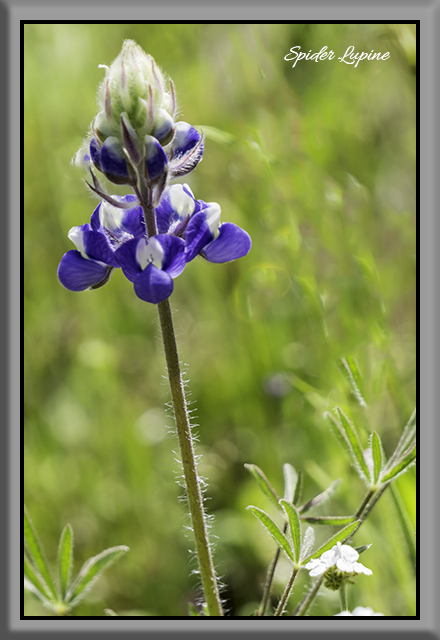 This one is a Spider Lupine, defined by it’s very thin leaf structure, visible at the bottom of the photograph. Ich bin kürzlich der Sierra Foothill Conservancy beigetreten, einer Gruppe, die sich zum Ziel gesetzt hat, die Sierra Foothill-Region in Zentralkalifornien zu konservieren und zu erziehen. Sie sponsern viele Wanderungen und Programme in der gesamten Region. Letzten Samstag bin ich meine erste Wanderung gemacht. Obwohl es sich nicht um eine Fotografenwanderung handelte, haben wir mehrmals gestoppt und die Wanderung war so gemächlich, dass Sie sich die Zeit nehmen konnten, um in vernünftigem Rahmen zu fotografieren. Es gibt anscheinend viele Arten von Lupinen, ich habe nie viel darüber nachgedacht. Dies ist eine Spinnenlupine, die durch ihre sehr dünne Blattstruktur definiert wird und am unteren Rand des Fotos sichtbar ist. 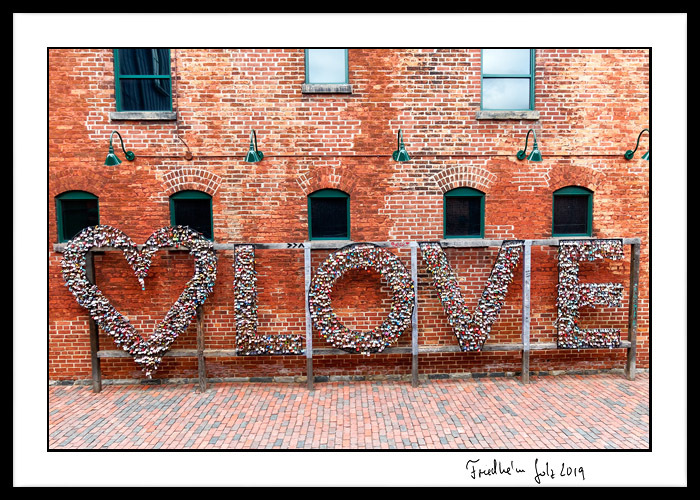 I photographed this piece of art in the Distillery District in Toronto, Canada. It is an expression of human kind to be loved and cherished. Bei Frühlingsblumen dürfen die Tulpen natürlich nicht fehlen. Dieser Strauss steckte in einer origenellen Vase. Das Glas der Vase wurde passgenau an den Holzsockel anmodelliert. Ich wünsche allen ein schönes Osterfest. 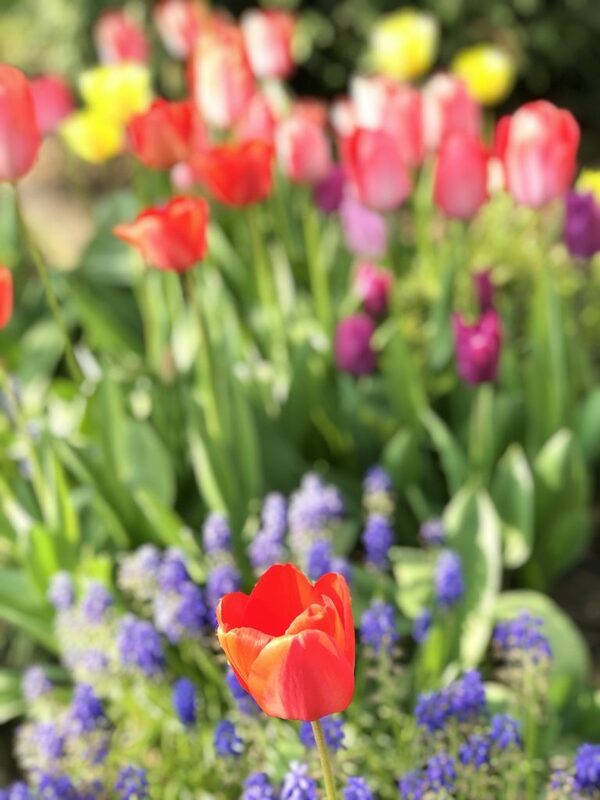 Of course, spring flowers should not be without tulips. This bouquet was in an original vase. 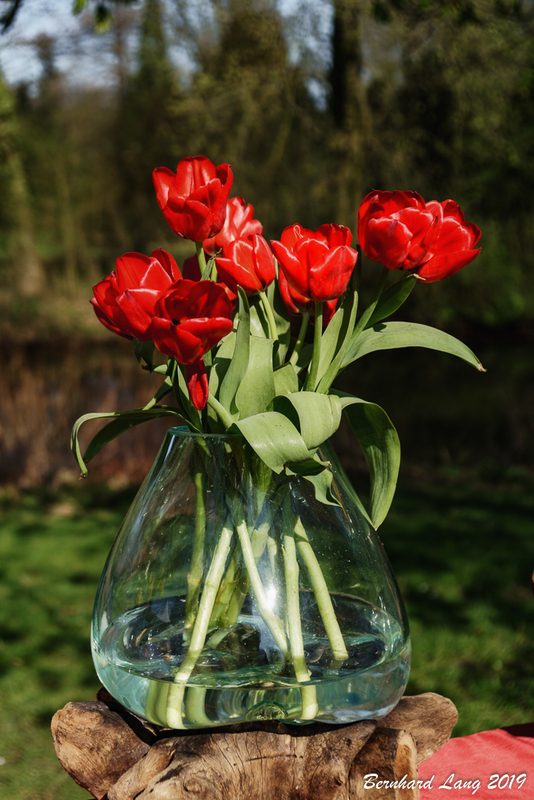 The glass of the vase was modelled exactly to the wooden base. I wish everyone a happy Easter. In der Autostadt sind die Ostereier immer “ein bisschen” größer als anderswo! Ich habe bei diesem Exemplar einfach mal verschiedene Filter ausprobiert. Und hier ist das Ergebnis. In the Autostadt the Easter eggs are always “a little” bigger than elsewhere! I just tried different filters on this one. And here is the result. Author Anke KarabinskiPosted on 16. 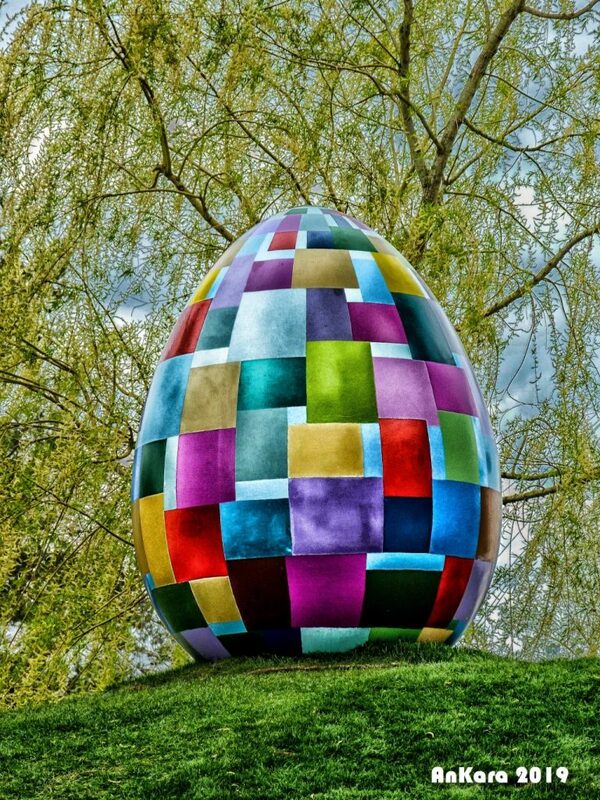 April 2019 Categories UncategorizedLeave a comment on Frohe Ostern! 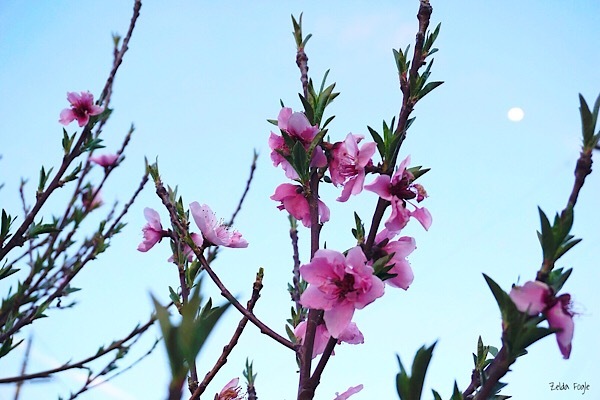 Last week I posted a colorful flower for our spring flower week. 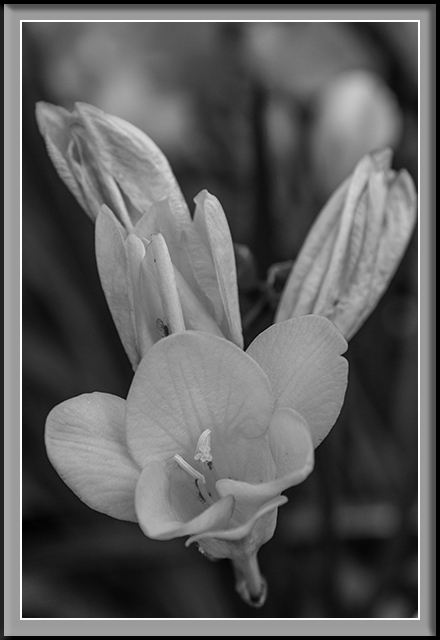 This week I’m posting a very bright yellow flower but I turned it into Black and White. Since last week was spring flower week I thought color was more appropriate. Letzte Woche habe ich eine bunte Blume für unsere Frühlingsblumenwoche gepostet. Diese Woche poste ich eine sehr helle gelbe Blume, aber ich habe sie in Schwarz und Weiß verwandelt. Da letzte Woche Frühlingsblumenwoche war, hielt ich die Farbe für angemessener.